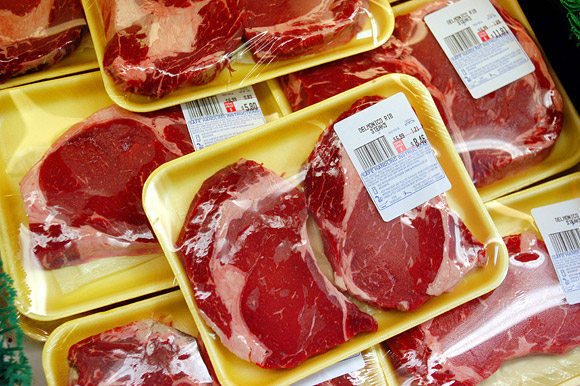 Diet related disease is the #1 Killer in the United States of America. We are one of the most unhealthy countries in the world. The last 4 generations of adults have blessed our Children with the destiny of a shorter lifespan than their own parents. Your child will live a life 10 years shorter than yours. We can change. It starts at home with our families. The power of food has a primal place in our home. We need to teach our children how to eat healthy. Jamie Oliver is on a mission to educate us about food and he is doing an amazing job. If you don’t know about him, click on his name, and be prepared to be impressed. His TED talk below will inspire you, educate you, scare you. It will show you just how little our children know about what they eat. You need to know. We need to change. Causes of death in RED are diet related. 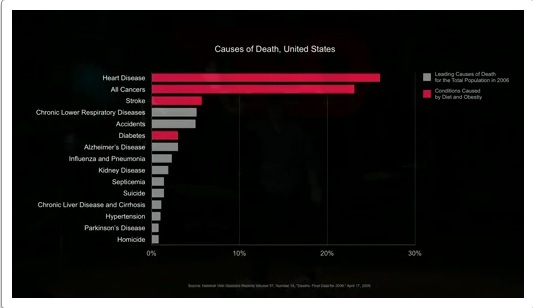 Heart Disease, Cancer, and Stroke are the top 3 killers in the USA. They are preventable.